Saturdays are often the days people choose to do yard sales. Today we came across one not too far from our house. 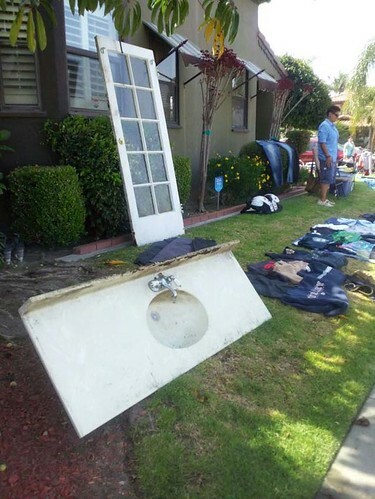 They might not have had everything, but they did have something that resembled the kitchen sink.